Well, the summer is over. Vacations are over. Work is hectic. The kids need shuttling to and from school – and soccer practice. Dinner needs to be made. Laundry needs to be done. Bills have to get paid. Post-Labor Day schedules are crammed. Where can you find time to squeeze a workout into the mix? Group-Fitness-For-All! At DHAC, our Group-Fitness-For-All schedule offers over ninety structured group fitness classes that can surely fit into any person’s schedule – no matter how busy. Classes range from thirty-minutes to one hour long, and no appointments or sign-ups are necessary. You find the class that best fits your busy schedule and simply show up for a supervised, super-motivated workout with a DHAC Group Fitness Instructor. The classes offer endless variety. Looking for a fun and intense calorie burn? Try a Spin class or STRIDE (that’s Strength, Toning, Real Intense Dance Exercise) Maybe you need a little extra motivation to maximize your strength training sessions – give yourself a kick in the Butts n’ Guts, Body Pump, or Abs & Arms classes that DHAC offers. Sometimes our crazy schedules can be stressful. Unwind with meditative classes like Hatha Yoga, Vinyasa Yoga, Gentle Yoga, Eastern Flow – these classes promote mental and spiritual wellness as well as flexibility, balance, and functional movement. 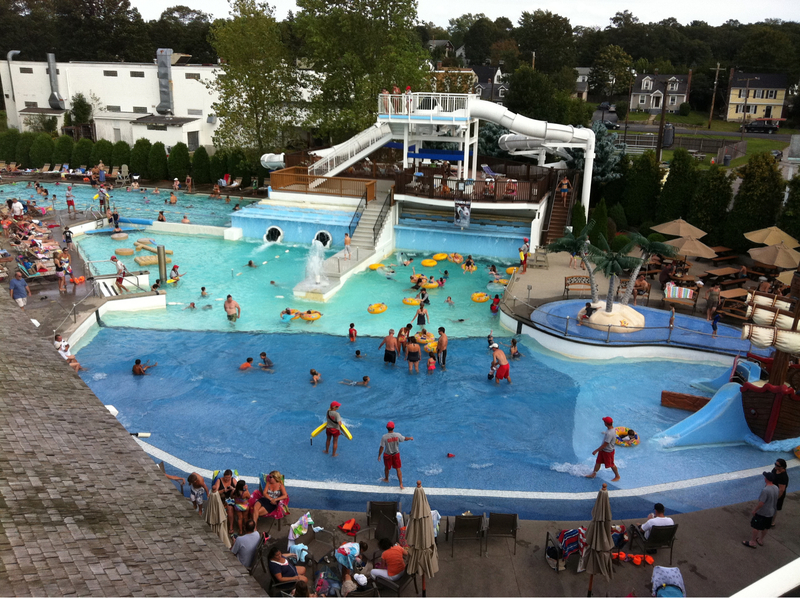 Been on your feet all day and just looking for a way to decompress? DHAC offers several water classes that add buoyancy and light resistance to your workout. Water classes are easy on your joints while stimulating to your muscles and cardiovascular system. 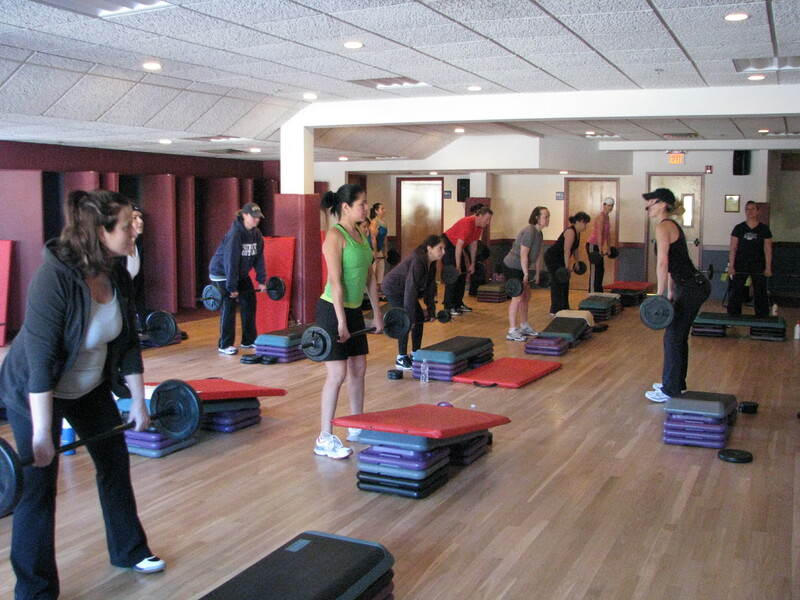 Group Fitness classes are great for all levels. So, if you are constantly on the go and need a quick and effective workout, get into a Group Fitness class! Check out DHAC’s complete Group-Fitness-For-All schedule on the website. Group Fitness classes will keep you fit while life is keeping you busy. Fitness Myth #3: I burn more fat when I do a lighter intensity cardio. I burn more fat when I do a lighter intensity cardio. First of all, you’ll always burn more total calories and total fat when you exercise at a higher intensity versus a lower intensity over the same duration. Yes, you’ll use a higher percentage of fat as energy while exercising at a lower intensity, but it’ll probably take you 2-3x longer to burn the same number of total calories. Why cheat your heart and cardiovascular system of the benefits of good, challenging cardio by slowing down in the hopes of burning a higher percentage of fat? When it comes to cardio, for my money, more is always MORE. Shoot for 20-60 minutes 3-5 days weekly. 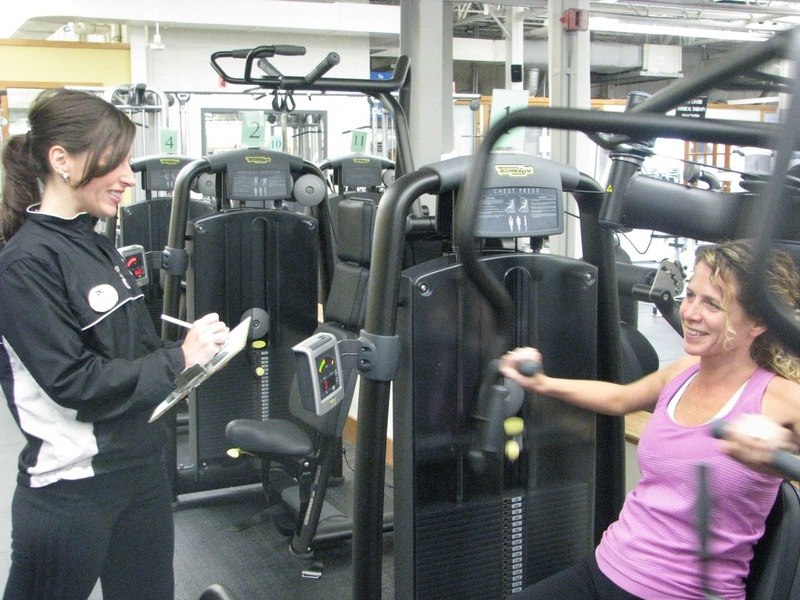 See a DHAC exercise physiologist to find the cardiovascular intensity that’s best for you. Fitness Myth #2: I need to get rid of my gut. I need more ab exercises. As an exercise physiologist, I work day after day with people who are ready to change their lives, lose weight, and get in shape. Thanks to all of the fitness-related TV programs, infomercials (shake weights anyone? ), magazines, websites, forums, Pod casts, apps, and Tweets out there, many well intentioned people show up with misguided, misinformed, and downright wrong beliefs about exercise. Over my next few entries, I hope to set the record straight on a some of the most common misconceptions about fitness. I’m going to give you guys some invaluable information – the greatest abdominal program ever created. Yes, it even surpasses Hip Hop abs… EAT RIGHT…and EXERCISE. The fact is, the guys and girls you see on magazine covers with tight, ripped abs, are guys and girls with lean body compositions. That is, they have a low percentage of body fat. How do you lower your body fat percentage? Eat right and exercise. It’s no huge secret. It doesn’t matter how many ab crunches you do – you can do one thousand every day – if you’re still chasing your sausage pizza with 24 oz of soda every night, then your gut just won’t go anywhere. A bad diet is like abdominal kryptonite that no amount of ab work can defeat. So remember, crunches – by themselves – do not equal svelt, flat abs. This fitness myth is busted! And, if you’re having trouble mastering your diet, then check out the Weight Loss Solution tab on our website to help get on track. What a great way to end the summer! I don’t want to get big – just toned. Light weights + high rep= tone; heavy weights + low reps = bulk. This is one of my favorites. First of all, can anyone please tell me exactly what “tone” is? How do I measure it? I remember from Music Theory 101 that trombones have a certain “tone”, but how does it relate to my muscles? Too often I have people who refuse to lift any remotely heavy weight because they don’t want to get “bulky”. You’re in the gym, surrounded by barbells, dumbbells, and strength machines, and you don’t want to build lean muscle? Building lean muscle increases your resting metabolism, increases your energy level, enhances your functional strength, and flat out, makes you look and feel better. If this is the “tone” that you’re looking for, then you have to strength train hard. In order to see any gains, you have to overload your muscles while strength training. Try using a weight that causes your muscles to fail between 6-12 reps over the course of 3 sets for each exercise. So remember, heavy weights just do not mean bulk. This fitness myth is busted! Have any questions about fitness myths you may have heard over the years? Then post them below! Arthritis hurts. How can you naturally help alleviate the pain? Lift weights! Nearly 30 million Americans suffer from aches and pains associated with osteoarthritis – the most common form of arthritis. Achy knees, stiff neck, sore shoulders, we’ve all felt it. The last thing you want to do as a pain sufferer is put these joints to work. But, actually, proper strength training does not strain already painful joints. Instead, it helps to strengthen the muscles around them, give them support, and make them feel better. Take your body through a full range of motion. Move it the way that it was designed to move. Alleviate stiffness and pain and enhance mobility and functional movement in your every day life. Research shows that a faithful regimen of strength and flexibility training decreases pain associated with arthritis in over 65% of studied cases. Full body strength training three days weekly can be an effective tool in managing your pain. Perhaps more importantly, it can help keep your arthritis from getting any worse! So the next time your knees hurt going up the stairs, remember that it is just their way of telling you to start exercising. And for those especially painful days, get your strength and flexibility training done in a Hydrocise class. Heated, sea salt pools, such as those at Dedham Health, alleviate weight bearing strain while providing full fitness benefits. . Your body – and mind – will thank you. Is your doctor worried about your blood sugar levels? The American Diabetes Association says that 25.8 million people in the United States have Type 2 Diabetes, while 79 million more have been diagnosed as Pre-Diabetic. If you are one of the millions of Americans who battles with controlling blood sugar levels every day, then it is time to take action and start moving! Countless studies have shown that there is a positive dose-response relationship between exercise, insulin sensitivity, and fasting blood sugar levels. In other words, the more you move, the more control you’ll have over your Diabetes. 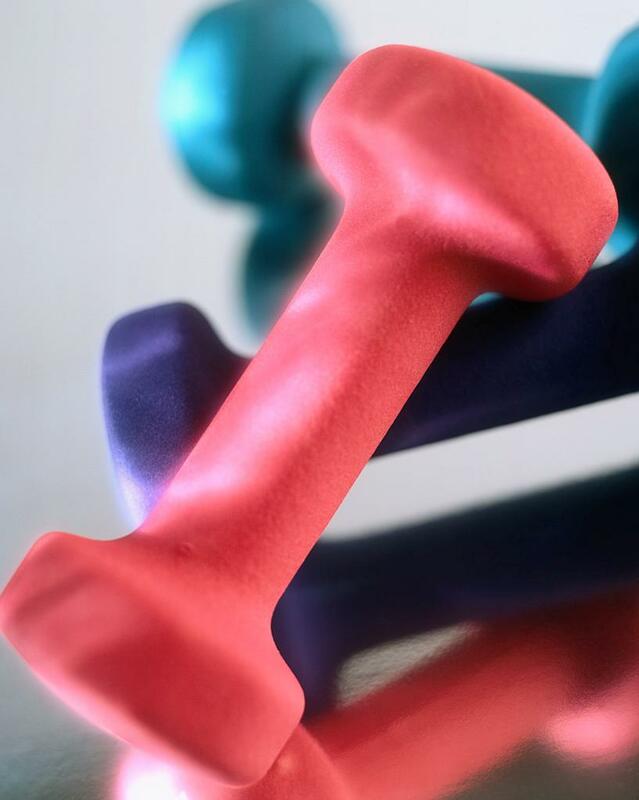 You should strive for 30 minutes of cardiovascular exercise and strength training three times weekly. Wait , What if you never exercised before? That’s okay. Everyone was a beginner once. Visit our website, www.dedhamhealth.com to learn all about our 60/60 exercise program. 60/60 offers beginner level exercise programming and blood sugar monitoring supervised by a full-time staff of degreed exercise physiologists in a state-of-the-art fitness facility. Let us help you take control over your blood sugar levels and your health. Get moving and start your exercise program at Dedham Health and Athletic Complex today! Here’s something you never thought you’d hear your trainer say: Sometimes less is more! Don’t get me wrong, nothing pays off in the gym more than hard work, but every now and then, your body needs a break. Have you ever been sore the day after a good workout? Who hasn’t? The fact is, during a bout of strenuous exercise, you are actually causing damage to your muscles at a microscopic level. The small amount of damage caused by exercise requires your muscles to adapt, grow, and get stronger… but they can only do that if you let them fully recover. In fact, sometimes too much exercise can have a negative impact on the body – increased soreness, injury risk, fatigue, and other undesirable effects. So take this trainer’s advice: Take a break! Work hard, recover fully, and get the most out of your workouts! Try taking days off in between strength training sessions. For more advanced gym-goers, try staggering workouts by using a split body routine. And for all DHAC members, take advantage of our free personal training with an exercise physiologist. We help build the program that’s best for you. Beginners may benefit from performing a full body strength circuit using compound, multi-joint movements. Perform this workout on three, nonconsecutive days each week (i.e. Monday, Wednesday, and Friday). Try exercises like pulldowns, rows, chest presses, and leg presses. People who have trained consistently for over two months may benefit from a little more volume. Try splitting your workouts up amongst muscle groups. You may want to try working your upper body muscle groups on Monday and Thursday. Allow those upper body muscles to recover while you work your lower body muscles on Tuesday and Friday. As for beginners, start your workouts with compound, multijoint exercises. Add a little more volume by adding some single joint exercises towards the end of each workout. Try adding exercises like bicep curls, tricep presses, hamstring curls, or hip adduction/abduction. We hope these tips help you get the most out of your workout. Have some more tips? Share them below!